Keep writing utensils in place and never go searching for a pen again by crafting a pencil holder from a yogurt cup. A floral covering and twine give this organizational tool a beautiful final look while maintaining a functional purpose. 1. Line up the long edge of a sheet of blue construction paper with the bottom edge of a Yoplait yogurt cup. 2. Wrap the blue paper around the yogurt cup until the edges meet. 3. Trace the shape of the yogurt cup onto the blue paper with a pencil using the top and bottom edges as guides. 4. Cut along the tracing on the blue paper. 5. Trace the outline of the blue paper stencils onto a piece of floral scrapbooking paper. 6. Cut along the tracing on the floral paper. 7. Paint a line of Mod Podge sealer, glue, and finish on one side of the yogurt cup, and press the edge of the floral paper cutout firmly to the glue to attach. The bottom of the floral paper should be lined up with the bottom of the cup, leaving some of the white cup exposed above the top edge. 8. Continue painting the entire surface of the cup and slowly pressing the floral paper to the cup to secure it smoothly as a decorative covering. 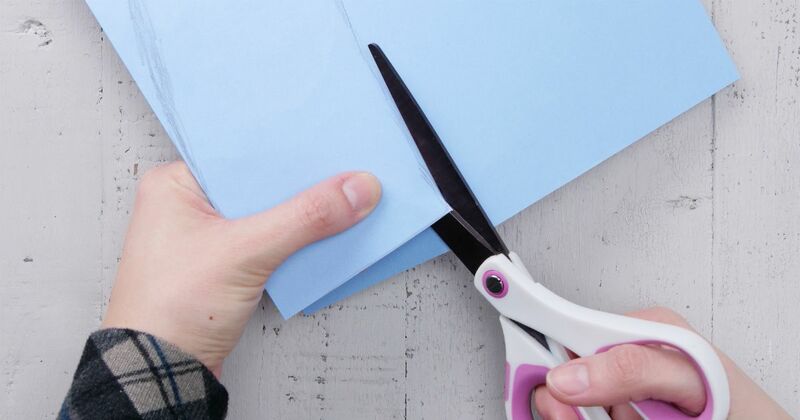 When the paper edges meet, swipe over the seam with Mod Podge to keep them firmly in place. 9. Apply a small spot of hot glue directly above the top edge of the floral paper. Press the end of a string of twine to the glue, and begin to wrap it around the top of the cup. 10. Wrap the twine around the top of the cup five times, gluing at various points to attach it. Allow the twine to wind up and over the top lip of the cup, making sure white plastic doesn’t show underneath. Cut away excess twine once complete. 11. 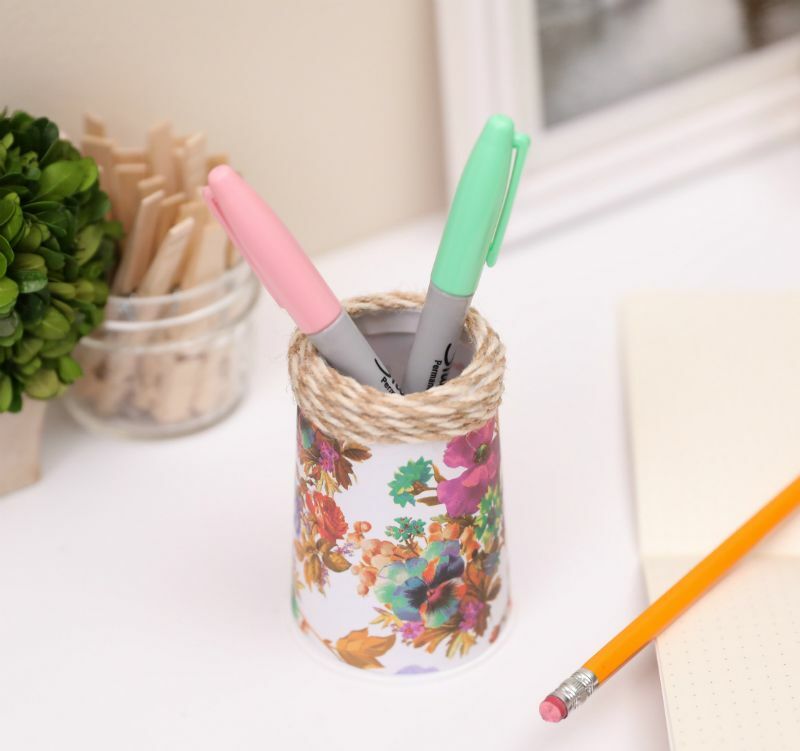 Place the yogurt cup pencil holder on an office desk or shelf to keep writing utensils beautifully organized.